On February 13, 2016, Abby Williams and Libby German went for a hike near the Monon High Bridge. After Libby posted a Snapchat photo of Abby at 2:07 pm, the girls were never seen alive again. Searchers found their bodies near a creek parallel to the bridge less than 24 hours later on Valentine’s Day. The investigation that has since ensued has left an entire nation searching for the Killer on the High Bride. This is the picture taken from Libby's phone of the man police are calling their prime suspect. 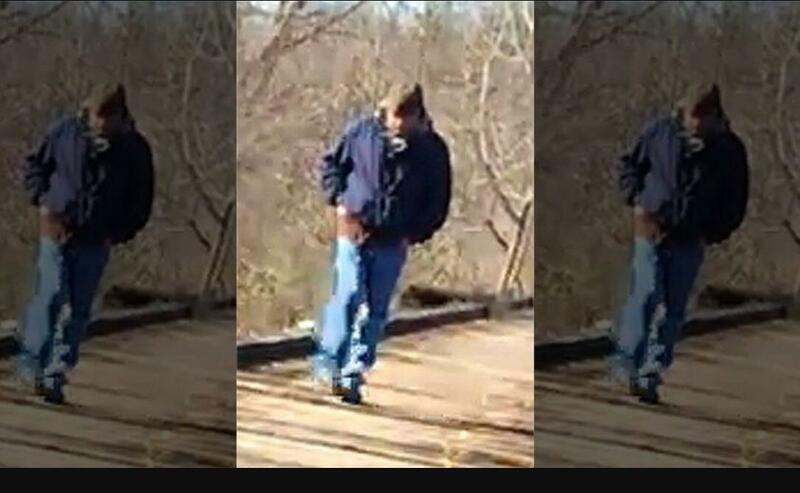 Youtube video posted by Gray Hughes where he attempts to place the location of the suspect on the bridge at the time Libby captured him. This map shows you where the girls were dropped off, where they were likely abducted, where their bodies were found and the private property lines. This is the sketch police released based on the image taken from Libby’s phone as well as eye witness accounts. Side-by-side comparison of Daniel Nations and suspect sketch. Here is a side-by-side picture of the sketch and the first person police identified as a person of interest in the case, Daniel Nations. Here is a loop of the suspect saying “down the hill”. The Bledsoe County Sheriff’s office in Tennessee said on Facebook that the FBI was searching SE Tennessee for the suspect who killed Abby & Libby. They later retracted the statement, stating that it is still nation-wide search. Nations was arrested in Colorado for suspicion of threatening people on trails with an ax and possible connection to the shooting death of a man on a bike. Indiana State Police said they could not include or exclude him after their interview and he has since been paroled and brought back in Indiana. As of February 12, 2017, Nations has not been named as the prime suspect pictured above.